China denounced Trump administration accusations of election-meddling as “Sinophobia” and urged the U.S. to steer the world’s two largest economies off their collision course. In a toughly worded commentary on Friday, the official Xinhua News Agency said Sino-U.S. relations were at a crossroads. The piece said “relentless and groundless China-bashing rhetoric” showed that Washington wanted a “a full-scale face-off.” It called on the U.S. to stop its attacks and work with China to find a solution to their differences. 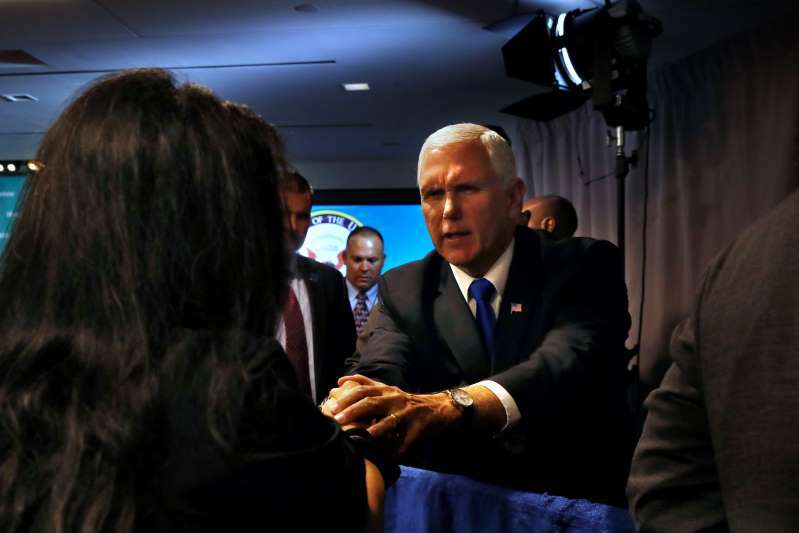 The commentary came as the U.S. and China are locked in an escalating trade fight that has roiled world markets, and a week after Vice President Mike Pence laid out allegations of election interference in a harsh speech of his own. He accused China of “a whole-of-government approach” to sway American public opinion, including spies, tariffs, coercive measures and a propaganda campaign. He also criticized China’s efforts to isolate Taiwan by luring away diplomatic partners. In a second commentary published on Saturday, Xinhua rebutted “five fallacies” in Pence’s address, calling the vice-president’s points “spurious and absurd”. “Although Pence called for a relationship grounded in fairness, reciprocity and respect for sovereignty, his entire speech was just the opposite of it,” the article said. Pence’s claim that the U.S. helped rebuild China is “preposterous” as its remarkable development has been driven by the hard work of its own people and cooperation with the rest of the world, said the article. It also rebutted Pence’s charge that China was interfering in U.S. elections, calling it “pure illusion”. The Xinhua piece adds that the U.S. “can never alter the fact that Beijing’s circle of friends has kept expanding” and again criticized Washington for a “Cold War mentality.” In August, the U.S. warned El Salvador and other Latin American nations over their decisions to cut ties with the democratically run island of Taiwan in favor China. “As to Washington, it is high time that it stopped its calumny campaign against China, abandoned its antiquated confrontational mindset, and worked with Beijing to steer their relationship out of the rough patch as soon as possible,” the article said. Arguing that China will not be able to catch up to the U.S. in technology innovation and cultural creativity, and that it is “unlikely to build a global military base network like the U.S. has done,” the piece said that “the two countries will have different strengths”.